Lifted by strong buying in banking shares and Reliance Industries, Indian markets ended sharply higher today. 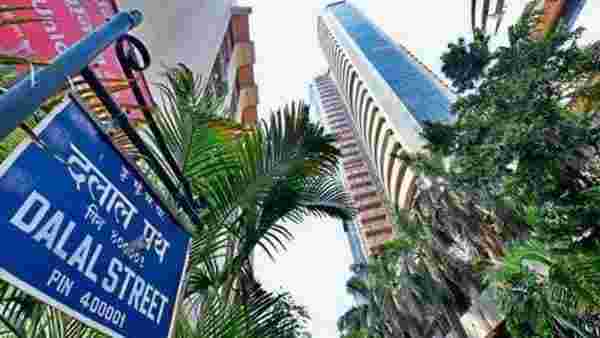 The Sensex rose 424 points to 38,233 while the broader Nifty index jumped 1.2% to 11,483. Banking, metal and energy stocks posted strong gains. The banking index on the NSE, Bank Nifty, surged 2% while the energy index gained 2.5%. The breadth of the market was strong with BSE midcap index rising 1% and smallcap index 0.77%. Among the banks, SBI jumped 4%, Yes Bank 3%, Kotak Mahindra Bank 2.8%, ICICI Bank 2.75%, Axis Bank 2.4%, IndusInd Bank 2.1%, and HDFC Bank 1.2%. Other notable gainers in the Sensex pack included RIL, NTPC and Vedanta, all rising over 3%. Indian markets had sustained losses in the past two trading sessions, tracking a selloff in global markets. Global markets today recovered after the two-day selloff, lifting the domestic sentiment. “Domestic markets are well placed, sentiments are still positive, the selloff was mainly because of fears of global slowdown and some correction after last week’s rally,” said Neeraj Dewan, director, Quantum Securities. Also supporting the equities was a stronger rupee, which rose to 68.84 against the dollar. Shares of Jet Airways Ltd rose as much as 9% after founder Naresh Goyal and wife Anita Goyal exited the company. Shares of Mindtree Ltd were up 0.40%. The company’s board is due to meet later in the day to decide about a share buyback proposal as it faces a hostile takeover bid from L&T. Indian markets have rallied sharply this month, driven by strong inflows from foreign institutional investors.